I was lucky enough to go to Bletchley Park on Saturday. It probably wasn't the best weather to be there, snow and ice on the ground and freezing rain coming from the sky! I didn't really know what to expect, but it probably wasn't lots of wooden huts. In some ways the weather being bad showed just what conditions were like when all those people were working at what was the forefront of technology. They were working not just on codebreaking and the Enigma machine but were really at the start of computing. The very first computer was here, although it was so secret no one knew about it for years! It is from these seedlings of technology, using valves and miles of wires that computing as we know it today grew. 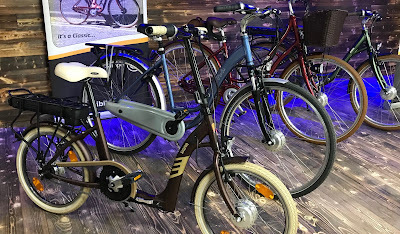 It might seem a very random connection to electric bikes, but once these ideas took hold, then we could progress to printed circuit boards, smaller components and all the technology that goes into making an electric bike work. 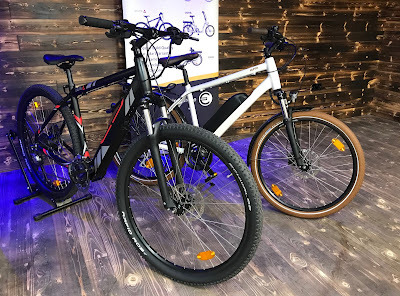 In stark contrast to the cutting edge work they were doing, the transport for those workers was bicycle, at that time there was no fuel for car trips for leisure. Alongside all the other equipment on show at Bletchley Park there is a whole bike shed of lovely vintage bicycles. 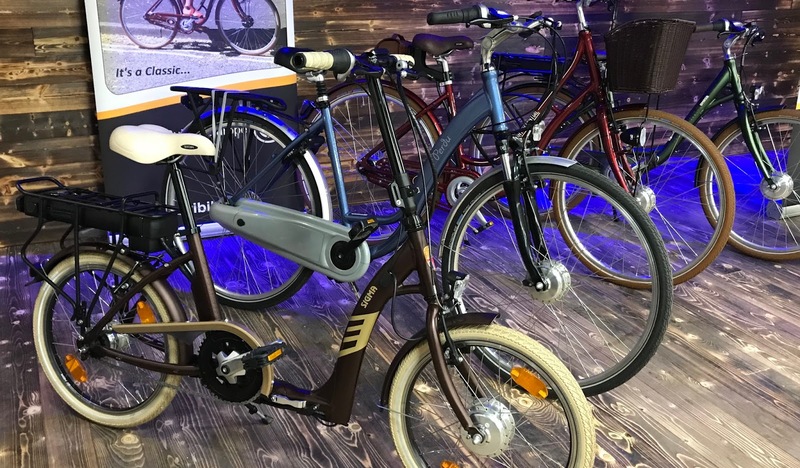 With our 20th century love for all things car causing congestion and poor air quality, the 21st century is bringing us back to the bicycle, but now with all the benefits that technology can bring. 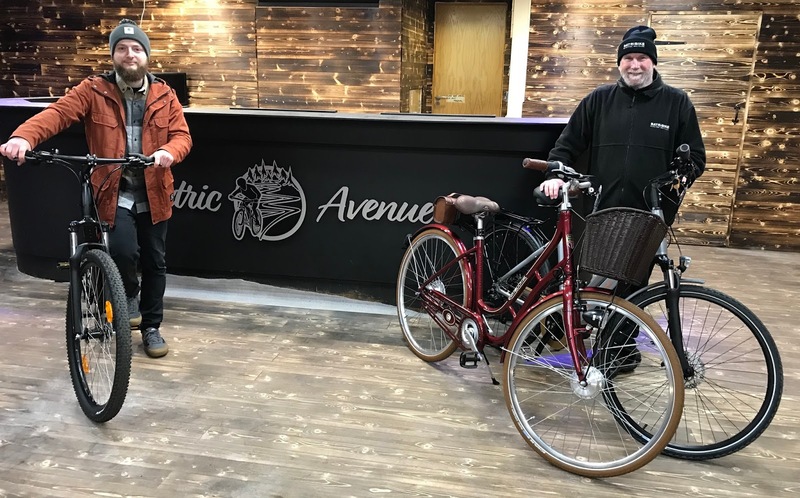 We had a great time on Saturday visiting E-lectric Avenue the new electric bike specialist in Staffordshire. Owner Alex Hewitt has been working hard on refurbishing his new premises. Despite not getting the keys when was originally agreed the huge floor rebuild and redecoration was almost completed in time for the "soft opening" event on Saturday. There are just the final finishing touches to complete. The burnt pine floor and walls really set off the bikes and the Christmas tree donated by his neighbours over the way gives a festive feel. 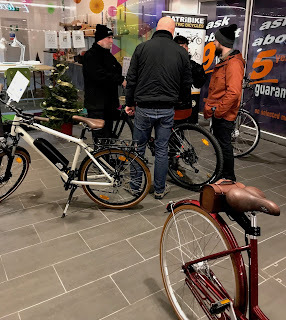 The little shopping arcade which connects the High Street to parking areas has a lovely friendly feel with the other shops really supporting each other. We displayed the whole Batribike range outside the shop and had a thoroughly enjoyable day talking electric bikes. It was great to publicise the new shop and to talk to so many people who could really see the benefits of this type of transport. The advantage of having a local specialist with expert servicing and advice was also clear. Newcastle-under-Lyme is really taking business very seriously. 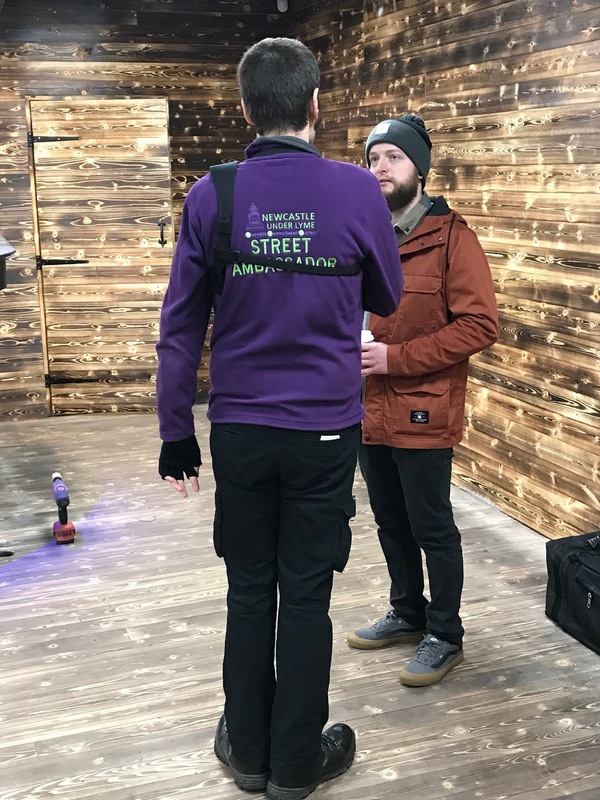 We met a Street Ambassador, a non profit organisation that is working with the local council to help new local businesses and to create a vibrant retail centre. 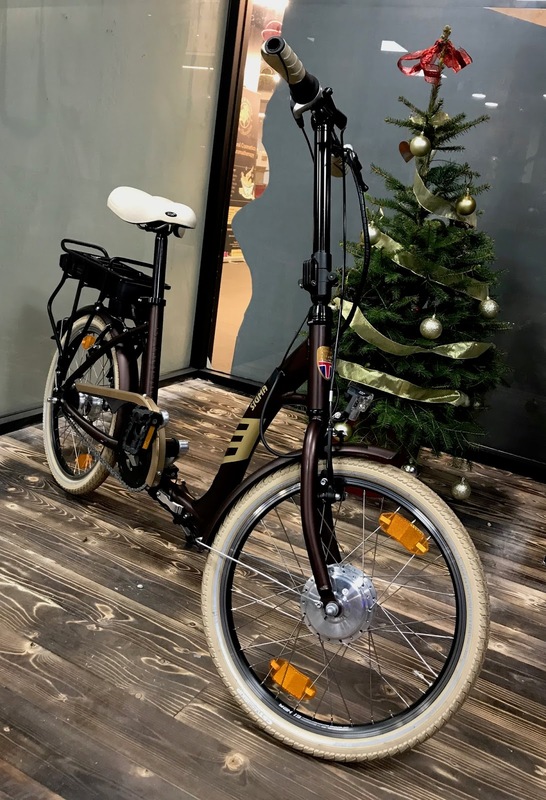 We wish Alex and E-lectric Avenue all the best for the coming year and congratulations on the opening.